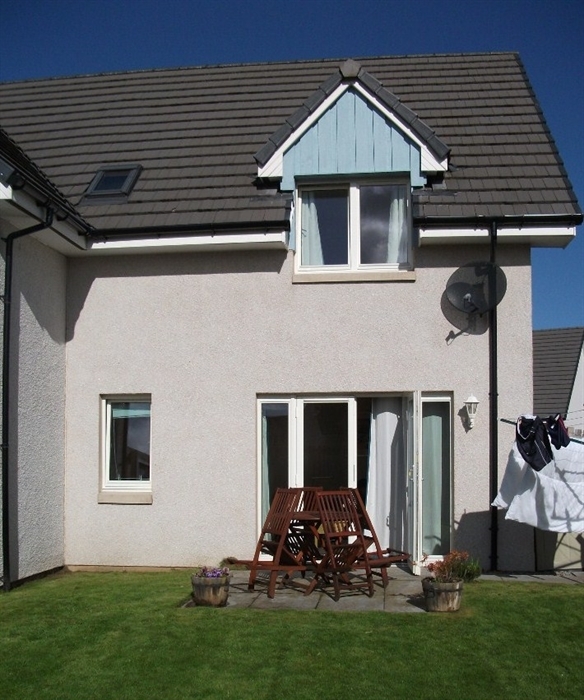 Comfortable 2 bedroom semi-detached house located in the landscaped Lochan Mor development at North end of Aviemore. River Spey is close by (1km) as is the championship golf course at Dalfaber. The house has been finished and furnished to a very high standard and is an ideal base for exploring the area. Lovely views on all sides. Quiet location. Private enclosed rear garden. House is well equiped and sleeps 4 (plus cot). Ground Floor: Fitted Kitchen (with fridge-freezer and washing machine), living room with dining area and French doors to small garden. Cloakroom with WC. Upper Floor: Double bedroom room and bunk room with built in wardrobes, family bathroom with shower. 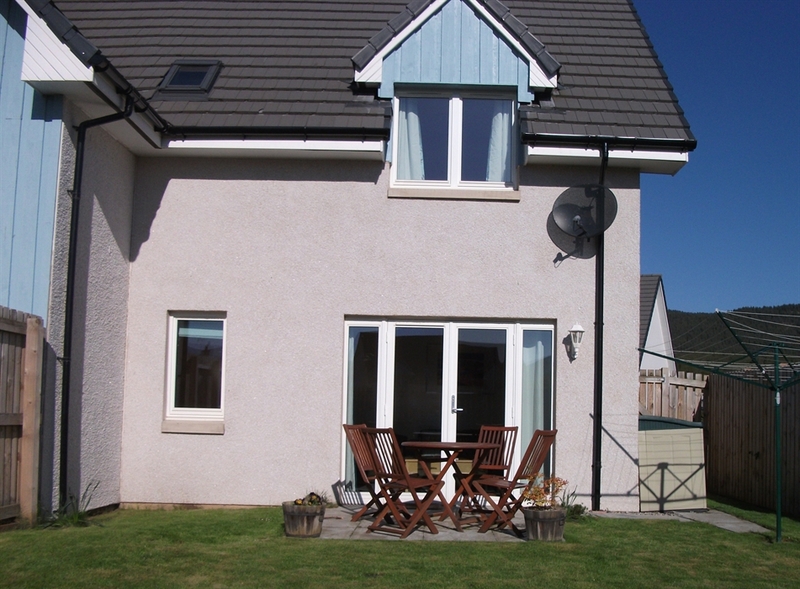 Small lawned garden with BBQ and spectacular views to the Cairngorms.